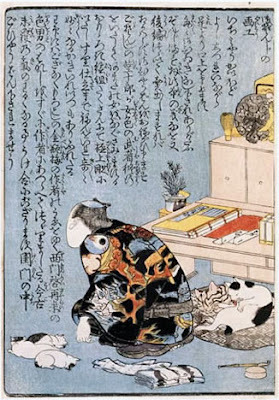 kuniyoshi, cat lover, cat artist, portrays himself, with his cats, at home. 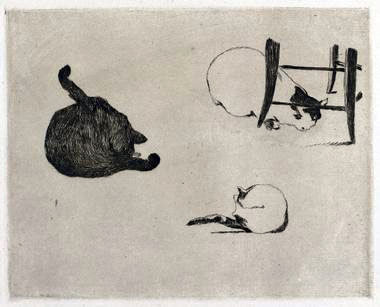 i realize that kuniyoshi has drawn himself as a cat as well. I think you might like the book "I am a Cat" (or in Japanese - Wagahai wa Neko de Aru)by Soseki Natsume. It's counted as a Japanese classic from the early 20th century.